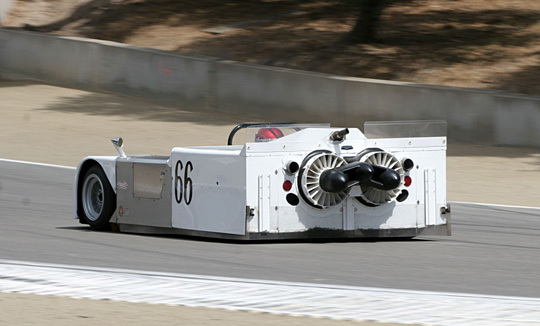 As if Can Am cars weren't already some of the most interesting machines raced, Chaparral introduced the 2J "Sucker Car". In the rear of the car, two snowmobile engines ran a fan that sucked air from under the car, acting almost as a suction cup. When in good running order, the 2J was successful and often qualified in first but good running order was not its specialty. 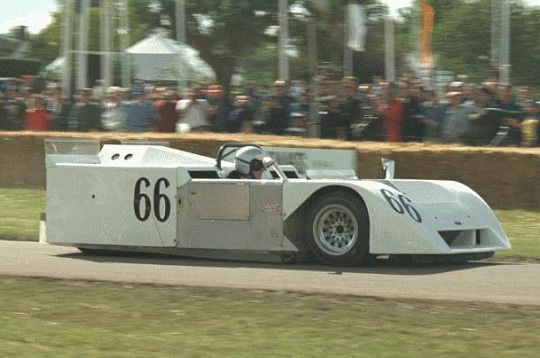 The Chaparral 2J was soon banned for various reasons, mainly moveable aerodynamics were not legal.